Jennifer was up with Isabelle early this morning and she decided to wake everyone up since it was almost 6:00, so that we could get an early start. What she didn’t know was that the clock in our room was set one hour ahead so it was actually almost 5:00. So, needless to say, we got a really early start for our final leg home. It was good to finally see home again. Three weeks away seems like an eternity. Thanks to everyone who let us stay at their house. Thanks to my parents for watching the girls while we were in Los Angeles. Thanks to MaMaw and PaPaw for watching Austin. 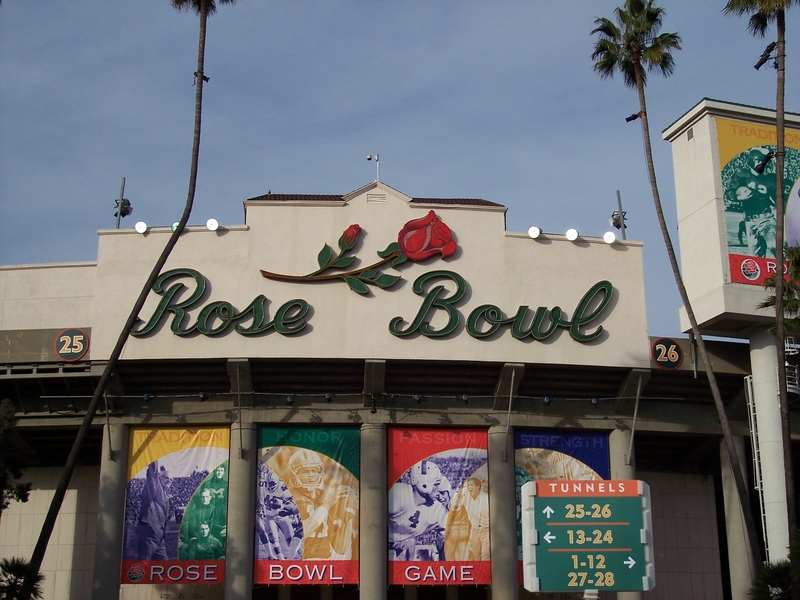 Today’s picture is from our trip to the Rose Bowl. It’s the classic shot of the stadium’s marquee. This entry was posted in Family, Jennifer by Jason. Bookmark the permalink.